President Susilo Bambang Yudhoyono delivers 40 units panser 6×6 Pindad to Commander of Indonesia Armed Forces / Panglima TNI in Hanggar CN 235 PT Dirgantara Indonesia, Bandung, Friday (10 / 7) morning. 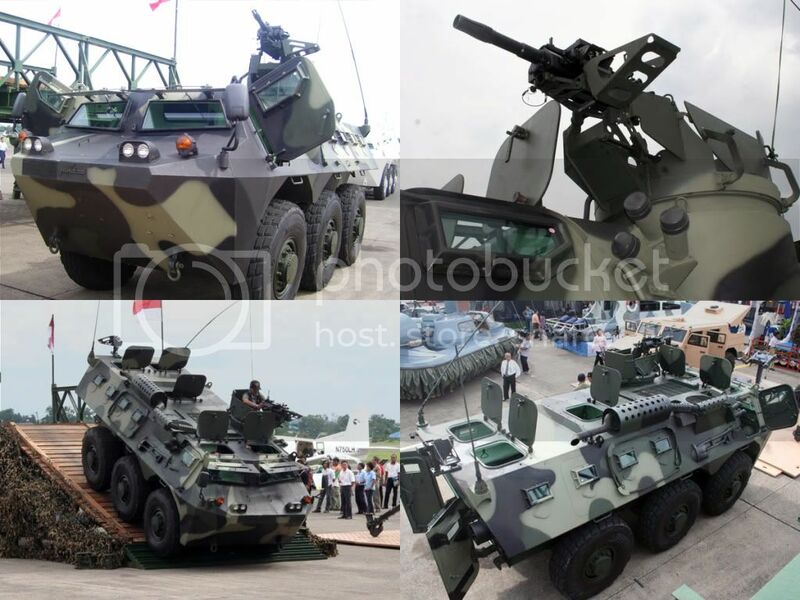 The Pindad Panser Anoa APS (Angkut Personel Sedang) is a 6 x 6 armoured personnel carrier developed by Indonesia. The APS is named after the Anoa, which is a type of buffalo indigenous to Indonesia. The prototype Panser was first unveiled at the 61st anniversary of TNI on October 5, 2006 in TNI HQ at Cilangkap, south of capital Jakarta. It bears a resemblance to the French VAB. Entourage of Head of State departs from private residence at Puri Cikeas Indah around 06.30, with cars, through a distance of 148 km. President Yudhoyono arrived in the central building management PT Dirgantara Indonesia around 08.30 and welcomed by West Java Governor Ahmad Heryawan. Arriving at PT Dirgantara Indonesia, the President led the limited meeting for 1.5 hours. After symbolically submitted the 40 units panser 6×6 Pindad attended by the Minister of Defense Juwono Sudarsono, the President then do the review. Group of Head of State is scheduled to return to Cikeas at around 13:45 after Friday prayers. The Pindad Panser had been officially unveiled to the public at the Indo Defence & Aerospace 2008 exhibition on November 19, 2008 to November 22, 2008 after being shown in a TNI parade on October 5, 2008. 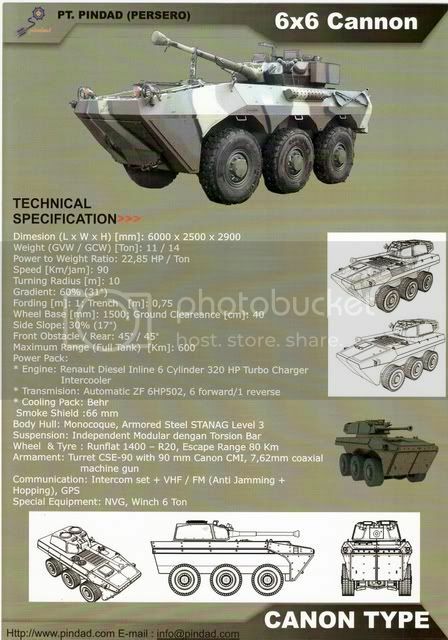 As of August 30, 2008, 10 Pindad Pansers have been produced with the plan of having 150 Pansers to be produced for the Indonesian Army in time for their first deployment in 2009.